Isn’t a little sedation enough? In an older child or adult, mild sedation and local anesthesia are enough for nearly all dental care. But any parent knows that this won’t work for a young child who can’t hold still. There really isn’t any such thing as “conscious sedation” for a toddler of 2 or 3. Deep sedation or general anesthesia are the only choices for a child who needs extensive dental treatment. Small children have small airways. Every parent knows not to give a small child big chunks of hot dog, or toys with small parts, because of the risk of choking. During dental work, a child’s breathing can be blocked by swelling or bleeding. Just a few drops of blood may irritate a child’s vocal cords, causing them to snap shut and preventing air from getting to the lungs. In the time it might take to gather emergency equipment, a child can suffer permanent brain damage or death from lack of oxygen. General anesthesia often is safer, since the airway is protected with a breathing tube from start to finish. One of the problems with current California regulations is the use of outdated terminology. The ASA, the American Academy of Pediatrics (AAP), and the American Academy of Pediatric Dentistry (AAPD) all agree on standard definitions and rules concerning minimal, moderate, and deep sedation. California dental laws and regulations, however, use the words “conscious sedation” and “moderate sedation” interchangeably, causing confusion about which rules apply. By California definition, moderate sedation should use “drugs and techniques that have a margin of safety wide enough to render unintended loss of consciousness unlikely.” But California doesn’t restrict sedation permit holders from using potent anesthesia medications including propofol, associated with the deaths of Michael Jackson and Joan Rivers, and fentanyl, associated with the death of Prince. Especially when these medications are used in combination with others — ketamine, methohexital, Demerol, hydroxyzine, midazolam — the risk goes up for unintended deep sedation and lethal consequences. Who’s monitoring the child’s breathing? By national standards of care, a surgeon can’t take out your child’s tonsils or perform any procedure requiring anesthesia without a separate qualified professional to give medications and monitor the patient. Even an anesthesiologist performing an interventional pain procedure can’t legally direct sedation at the same time. Yet in the offices of dentists and oral surgeons, it’s perfectly acceptable for the same person to perform the dental procedure and direct sedation to be given by a second person who also assists with the procedure. That person is likely to be a “dental sedation assistant”, who in California has completed only one year of experience as a dental assistant, 40 hours of didactic education, and 28 hours of laboratory instruction. In some states, the training requirements are even less. No state at this time requires the presence of a physician anesthesiologist, a registered nurse, or any other medical professional during sedation or anesthesia for dental treatment, even for small children. At present, 29 states require the presence of a third person to serve as a “dedicated anesthesia monitor” in addition to the dentist and dental assistant; California does not. Parents should question the concept that sedation and anesthesia should be given to a young child — or for that matter to any patient — without a qualified person whose only job is to watch the patient and to administer sedation or anesthesia. This is the opinion of the ASA and CSA, clearly defined in our guidelines on sedation. I’m very pleased to see our opinion shared – and expressed in the strongest terms – by Paula Whiteman, MD, who attended the stakeholders’ meeting on behalf of the California AAP, and by Michael Mashni, DDS, a past president of the American Society of Dentist Anesthesiologists. The July 28 meeting was solely for the purpose of gathering opinions from interested parties. The DBC will be preparing a second report with recommendations for changes to California laws and regulations concerning pediatric dental anesthesia. The state legislature and the Department of Consumer Affairs are watching with keen interest. It’s high time California and other states modified their laws to bring the practice of anesthesia and sedation in dental offices into line with the rules followed in every hospital and outpatient surgery center. Too many children have died already. There shouldn’t need to be more. Thank you for bringing attention to the issues involved. A 3 year old girl died went into a coma while at a pediatric dental practice on Oahu in December 2014. She had been given 3 separate CNS depressants. Her mother, an RN, was in the waiting room and learned of the problem only after emergency response personnel arrived. I am a board certified Anesthesiologist in North Carolina who was completely unaware of this issue until I met a patient who was a very young dental assistant. She very cavalierly pointed out that she administers in-office Propofol to adult patients for dental procedures. As I queried further, I discovered that her training was “on-the-job”. She knew nothing about airway management, there was no supplemental oxygen available, there was no monitoring, nor was there emergency equipment available. Most upsetting to me was there was no designated person assigned to secure and assure the safety of the patients. When I asked her about complications she blithely denied that there were any. I guess if you don’t monitor and don’t know what to look for, then no problems can occur. Ignorance is bliss. I am shocked that the standard of care is so lax in dental offices. Thank you so much for writing. While this column focuses on children, the problems are really the same with dental sedation for adults. We had a death here in California of a healthy 24-year-old man three years ago–you can read the awful details in my post, “No anesthesia is minor”. All of us need to pay attention to this issue. The state laws are woefully inadequate, and the dentists and oral surgeons have no motivation to change them as they currently can bill both for doing the procedure and directing the sedation/anesthesia. I read with great interest the article on “Who’s watching the children at the dentist’s office?” While the terms “dentist” and “oral surgeon” were used to describe who is giving the sedation in dental offices, there was no mention of the third group of dentists providing only the sedation and anesthesia in dental offices, Dentist Anesthesiologists”, other than recognizing that Dr. Mashni, a dentist anesthesiologist, attended a meeting, Dentist anesthesiologists currently complete 3 years of anesthesia training after dental school and are required by accreditation standards to complete 125 anesthetics for children 7 years and younger, similar to physician anesthesiologists who must do 100 anesthetics for children 12 years or younger including 20 under age 3 and 5 under 3 months. We are extremely well trained and provide superb sedation/anesthesia for young children as well as adults in dental offices, using state of the art anesthesia monitors, equipment, and drugs . So the answer to the article’s title is that dentist anesthesiologists are available to watch over the precious children while another dentist fixes the teeth. It is unfortunate that this was not mentioned in the article. Thank you so much for writing. Your points are right on target. I don’t know who was looking after the anesthesia medications in these tragic cases, but can only assume that something was wrong with either the staffing, the monitoring, or both. Do you have any information about who was giving anesthesia? My point is that the current laws are inadequate. Children and other patients would be fortunate to have someone with your qualifications looking after them. I don’t think this skims that point, in dact, I think it presses for that point. That dental anesthesiologists are available, just not in most dental practices and offices. If that were the case, then this wouldn’t be an issue. But it is. A real issue. Because people die, all too often, and in ways and cases where it could and should have easily been avoided- by way of a legitimate anesthesiologist being present to monitor the patient and their airway. As a parent of two young boys, I cannot begin to think about how horrible it would be to lose a child under these circumstances. As a Board Certified Oral and Maxillofacial Surgeon, I can tell you that I regularly and safely administer intravenous anesthesia to children in my office and would trust my child with someone who has like credentials. As a scientist, I look to research published in peer reviewed journals to guide my care. There are no published papers that demonstrate that the single operator/anesthetist model is unsafe. To the contrary, oral and maxillofacial surgeons have an enviable safety record. Anesthesia carries with it, a degree of risk regardless of the provider. Fatalities have occurred with dentist anesthesiologists and medical anesthesiologists in the office environment. Finally, while highly trained in monitoring anesthesia, our assistants are just that, assistants. They do not administer drugs at any time. Anesthesia was first performed by a dentist and continues to be within the realm of well trained and qualified dental specialists. To take this privilege away would increase the pain and suffering of our patients immeasurably. Thank you so much for taking the time to write. Unfortunately, there are a number of points where I must continue to disagree with you. It is simply a fact that in many dental and oral surgery offices, assistants are permitted by the dentists or oral surgeons to administer intravenous medications whether they are technically supposed to or not. These are individuals with only a high school diploma, training as a dental assistant, and a few extra hours in sedation training. Every parent who has taken a child for a haircut knows that the ability of a child of 2 or 3 to cooperate is very limited. Sedation in young children is intended not just to provide relaxation and a little pain relief. It is intended to control behavior. 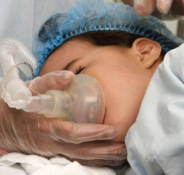 The term “moderate sedation” is a misnomer in young children, because a child sedated deeply enough to render the child still and not reacting to a painful stimulus is a child effectively under general anesthesia. This is why the California Society of Anesthesiologists has recommended to the Dental Board of California that the same standards of care should apply for moderate sedation, deep sedation, and general anesthesia for pre-cooperative children, defined as children under 7, or older children of a developmental age that makes it impossible for them to cooperate under minimal sedation. We strongly believe that there needs to be a second qualified anesthesia provider whenever moderate sedation, deep sedation, or general anesthesia is provided to any pre-cooperative child. With regard to research — it would be interesting to see how many parents would consent to be in a controlled trial of a single operator-anesthetist for their child as opposed to two qualified individuals, one to focus on the procedure and the other to focus on the anesthesia. It is hardly a surprise that the study has not been done. It is also the case that record-keeping and database creation has been exceptionally poor among state dental boards, so no one truly has an idea of how frequently complications occur, and how many near-misses there may be. If a case involving a pre-cooperative child cannot be done with minimal sedation, then there should be a separate qualified anesthesia provider — defined as one who is legally entitled to bill for anesthesia services, not a dental sedation assistant — or the case should be done in an outpatient surgery center. We cannot help but conclude that the desire to bill for both anesthesia and dental/oral surgery services simultaneously is behind the opposition to the standard of care that is universal for every other type of invasive procedure except for those done under minimal or no sedation. As I stated in my earlier comment, there are no facts to support your argument that two provider anesthesia is safer than single in these particular cases. Your allegation of oral surgery assistants administering anesthesia is unsubstantiated and NOT factual. I take exception to your comment that my defense of the single operator/anesthetist model is financially self serving. Itinerant medical and dental anesthesiologists have much more to gain from potential new regulations than I do. The second anesthetist could be one of your partners, or a dentist with additional training in anesthesia as required by state law. Again, it’s all about having a second trained independent anesthesia provider whose only job is to watch the child’s airway, vital signs, and breathing. Just as I would want for my own child.